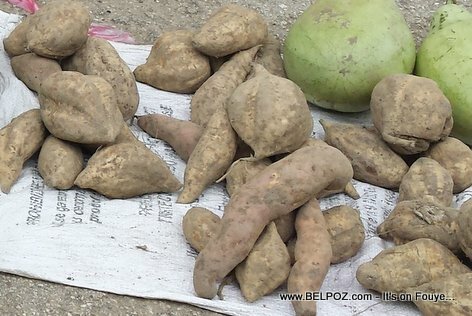 Haitian Health Tips: Did you know that eating Sweet Potatoes (Patat in Haiti) can help lower your blood pressure? And you thought live in the country side of Haiti was bad! These people eat lots of fruits and vegetables including patat bouyi (boiled sweet potato). Sweet potatoes is a super-food that can help reduce blood pressure. Sweet potato is rich in Potassium and magnesium, two nutrients that helps your body maintain a stable blood pressure and kidney function. Some experts suggest eating the sweet potato with the peel (kek ekspè sijere w manje patat la ak tout po). it adds more fiber to the meal. High blood pressure (BP) can be a problem and it can prevent you from enjoying the simple pleasures life. So learn how to control it with the foods you eat. « Do you prioritize your everyday activities over your health? Patat bon pou moun ki fè tansyon.